Videos are quickly becoming one of the best ways to show what your company is about when people land on your website. Not only that but plenty of companies are out there that develop video content such as tutorials, funny YouTube videos or even extreme snowboarding clips. It all comes down to visual content, and internet users are constantly clamoring for interesting new content to sink their teeth into. The problem with video is that it can sometimes take a while to embed the media if you don’t have the right type of WordPress theme. In addition, videos are known to make websites lag, diminishing the user experience and hurting your search engine rankings. However, with a high-quality WordPress video theme, you have the chance to quickly upload your videos and not worry about the playback, since the themes are designed to work well with this type of media. Many video WordPress themes are sold for a price, but sometimes you just want a free theme to upload your fun videos and show them to the world. What’s cool is that many of the free video themes are just as powerful as the premium solutions. It turns out, tons of free video themes are littered throughout the internet, so you’ll want to take a moment when making your decision. After all, no one wants a clunky theme with poor code hosting their videos online. Therefore, we did the work for you and put together a solid list of the top solutions for those interested in sharing videos on a website. 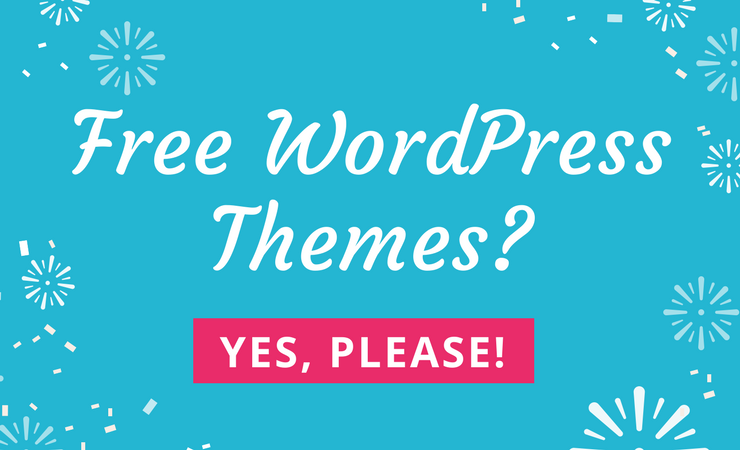 So keep reading to learn about the best free WordPress video themes on the market. 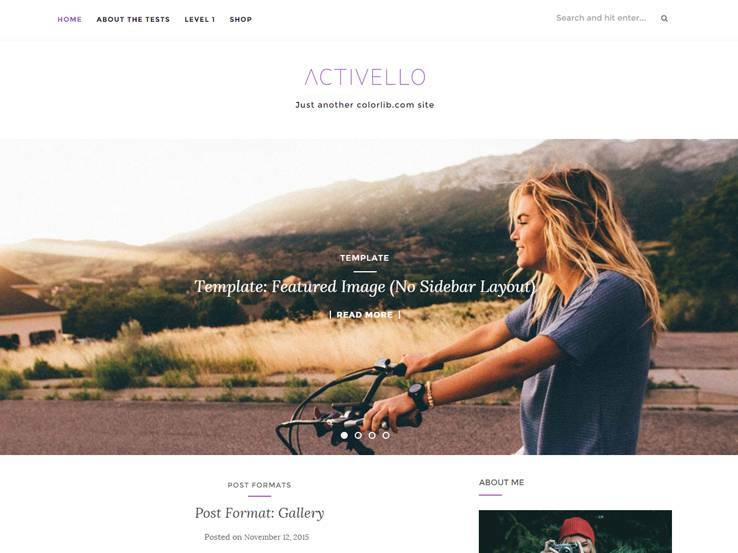 To get the ball rolling, let’s take a look at the Activello WordPress theme. This is a beautiful choice for those interested in making a simple blog, and it supports videos rather well. To start, you can upload video from places like YouTube and Vimeo without any problems and watch as they stream with perfect quality. 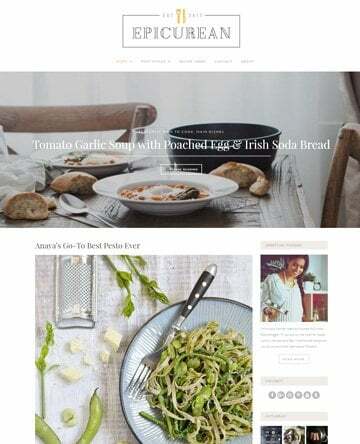 The theme is completely responsive for viewing on mobile devices, and it features a beautiful header area that takes up the majority of the screen space. We like this header since it allows for overlaying text and buttons, which are perfect for sending people to landing pages. The WordPress customizer comes in handy for changing logos and colors, while the featured slider displays images from your company. Activello includes infinite scroll, so your customers can continuously scroll down on the homepage to reveal additional information if needed. Plugin support stands strong, since the Activello theme works with popular plugins like Contact Form 7 and W3 Total Cache. WooCommerce support is provided for selling items on your website, and translation features improve how many people can actually understand the content on your site. 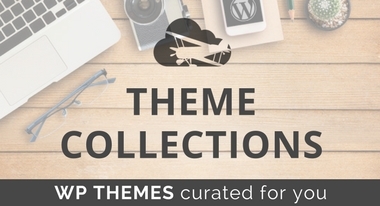 Several Font Awesome icons come along with the free theme, adding some imagery. Not to mention, the unlimited color options are a bonus for achieving the ideal branding look for your company. 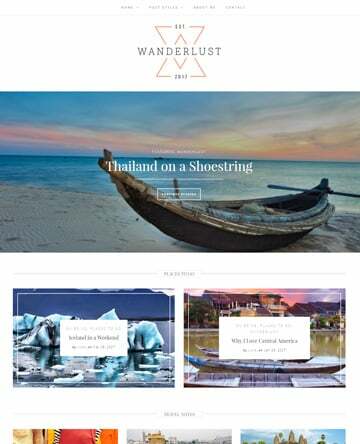 The Travelify theme presents a beautiful and responsive layout for hosting your videos and creating a blog that provides quality content to all of your visitors. The responsive design works well for people who are viewing your content on the go, and the theme options have settings for changing things like favicons, logos, and colors. The featured slider has built-in transition effects, and it includes several ways to incorporate text. Multiple layouts are a bonus, and the plugin support helps you implement options like Contact Form 7 and more. Travelify provides WooCommerce support, coming in huge for those companies that require a way to sell merchandise or digital goods. In addition, the translation feature expands the number of people you can reach out to, considering not all of your visitors are going to speak your language. 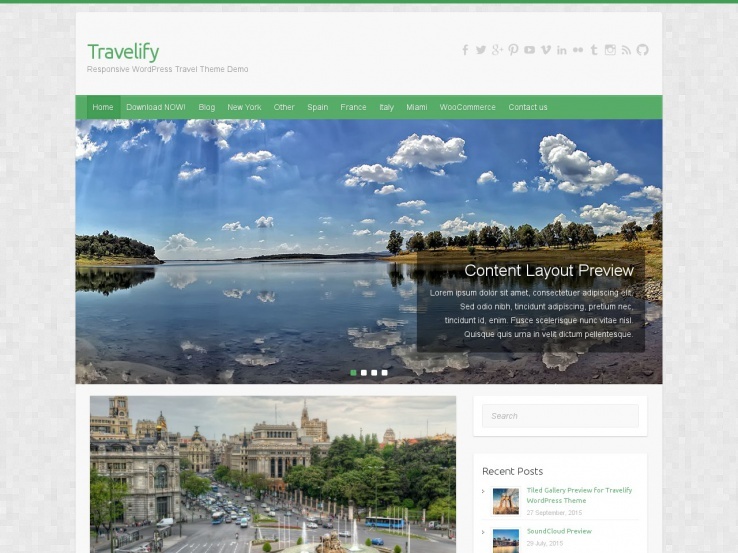 The Travelify theme has a travel design, but it can technically be used for just about any industry. In fact, the several widget areas and social buttons improve on how you connect with visitors and share content online. Consider the Pinbin theme if you’re looking to build a site that looks similar to Pinterest. The minimalistic design has all the grid-based elements you would find on Pinterest, which works nicely for those who would like to share videos or images. Each of your posts show up as a “pin” so people can click through and view additional information. The theme offers a responsive design, enabling people to view on mobile devices. The lightweight coding combines nicely with the featured images since you can implement visual aspects to the website without making it lag. The logo management area is easy to find and use, while the background is customizable for your branding purposes. You’ll notice that a widget area is provided in the footer, allowing for the use of widgets. Some people might use this section for social media buttons, while others might consider implementing recent post lists or email subscribe forms. Overall, it’s a beautiful theme with a quickly customizable navigational menu. This empowers you to guide users through your site, all without needing any use for custom code. The Cinematic theme is all about videos, and you can tell from the name. A paid license is sold, but you can consider buying that if you’d like to upgrade to more advanced features. Link the website to your Google Analytics, and feel free to change anything from colors to logos. The clean code ensures that your changes don’t weigh down your site, while the video upload features support videos from places like YouTube and Vimeo. 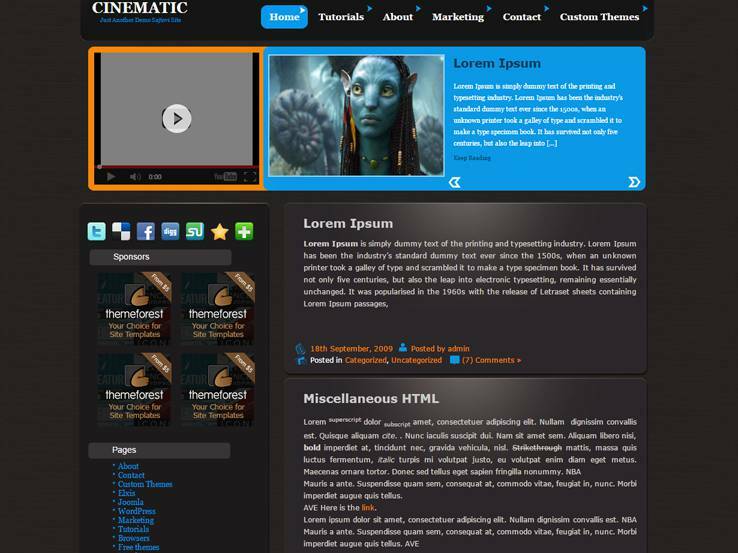 Cinematic has widget-ready locations for generating more interactions, and it also provides social profiles to help your users find you on places like Facebook and Twitter. The content slider is ideal for showing off your best content, while the theme documentation walks you through all the details that you may need to make a perfect website. A full blog is packaged in with the Cinematic theme, which is great for sending out free content and improving the way search engines view your site. We see this as a solid theme for a blog that reviews movies, or even a company that makes their own short films. Regardless, you can decide to fill the homepage up with widgets or keep it to a more minimal layout. It all depends on what you’d like your brand to look like. 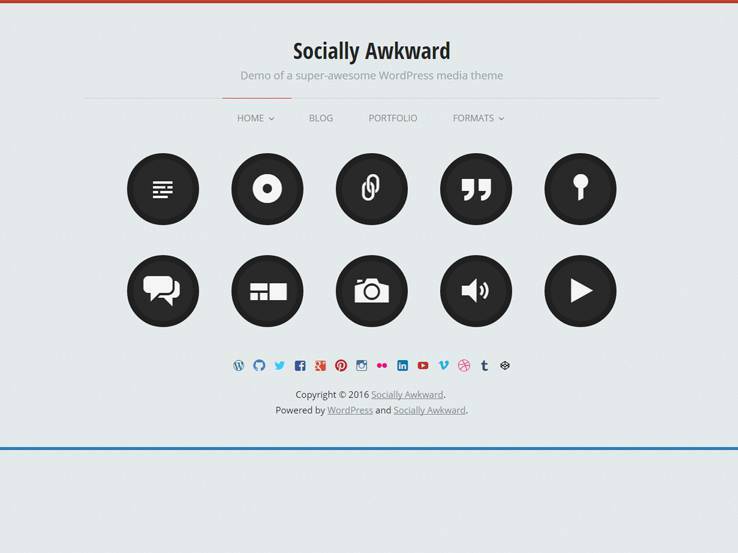 The Socially Awkward WordPress theme has responsive elements for people to take a look at your videos on tablets and phones. 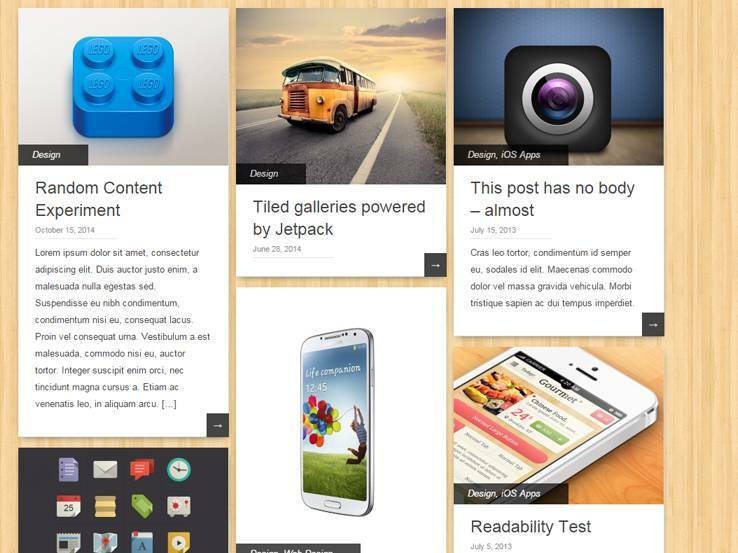 Also, the theme is built to support self-hosted media like videos and photos. It integrates nicely with the Custom Content Portfolio plugin, which is a quality tool if you’re trying to wow your clients with a portfolio. The best part is that you can display videos from third party social media sites. So if you locate a video on Facebook, feel free to post it on your site without any problems. Socially Awkward has threaded comments to keep the conversation going, and it includes translation features to connect with users who don’t speak your language. WebVideo was designed particularly for websites that host videos. It’s completely free and it works on just about any device you use. 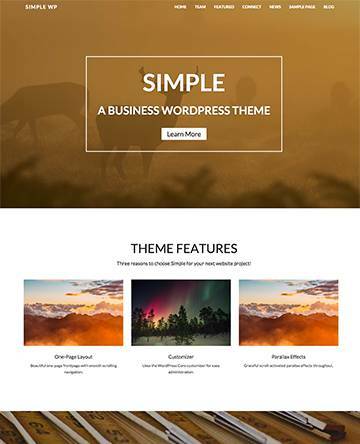 The full-size image and video WordPress theme is perfect for photographers and videographers who want a simple way to upload their content and share it online. It’s not exactly the most modern look, but it provides a great feed of your videos, clearing out all the clutter you would find from a premium theme. Feel free to upload videos from places like YouTube and Vimeo, and use the several widget areas for additional features. As stated before, the WebVideo theme is pretty bare bones, but with the help of some plugins, the sky is the limit with this one. 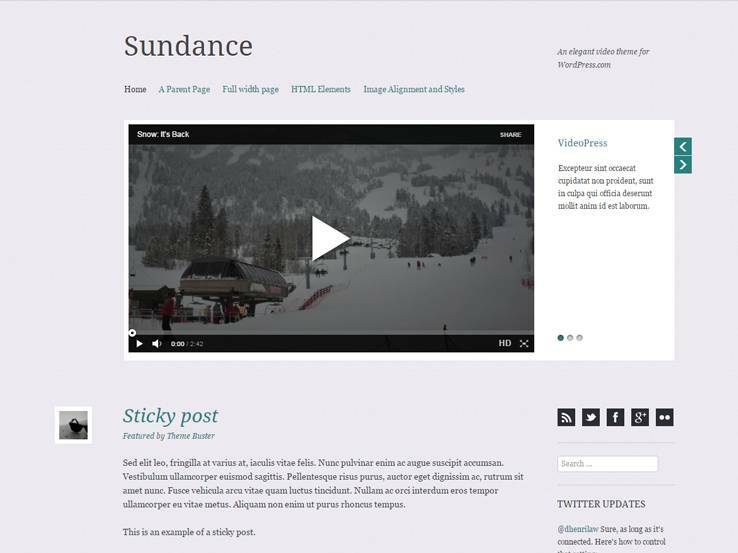 Try out the Sundance theme if you’re interested in an extremely simple and clean video blogging option. The theme is primarily built to host videos, but you do have the option to run a regular blog on it. The folks at Automattic are the ones behind this one, so you know it’s built with the most amount of care. As you can see in the Sundance preview, it doesn’t look like the theme is actually all that creative. However, that’s kind of the point, because they have left it to become anything you dream up yourself. For example, the entire slider is pretty simple, with an area for a picture or video, a description, and possible links. However, you’re not going to see anything great until you start uploading your own media. The clean and elegant typography is something that we see quite often from this developer, and it tends to pull together some of the content you have on your website, while also improving how well users can read that content. As we stated before, the slider sits towards the top of the site, but it’s primarily meant to serve as a video carousel. Therefore, any of your users can quickly scroll through the videos and play them if they want to spend some time on your site. Not every type of video is going to work on the site, but it seems as if you should be fine with YouTube and any uploads that you have from your own computer. The video post format is the primary layout you’re going to use since it truly structures your blog posts into the way videos need to be displayed. The majority of the theme is managed with widgets, while the customer backgrounds, headers, and menus all come together to create a beautiful website for your own video blogging company. Zevion is an interesting video theme with a sleek metallic look. The theme is completely free to download and use but it packs some powerful features that are on par with premium themes. The theme allows you to add an animated gallery which is perfect for grabbing user attention and you can choose to feature a video in your sidebar. 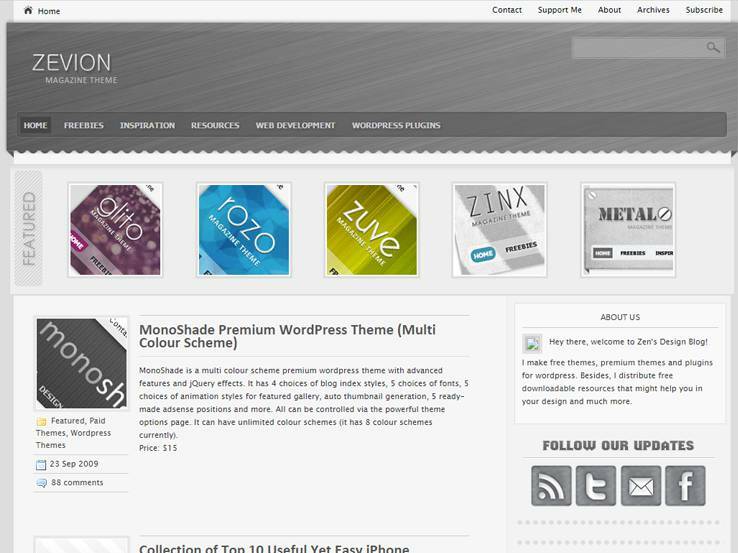 Zevion uses the traditional 2-column layout and thanks to the metallic gray background, your content is the primary focus in this theme. Zevion is widget-ready meaning you can add widgets in various places to include additional content such as social media links, profile widget, Twitter feed, recent posts and more. You can even include ads if you’d like to monetize your website. The theme is easily customizable from the backend to best suit your branding. 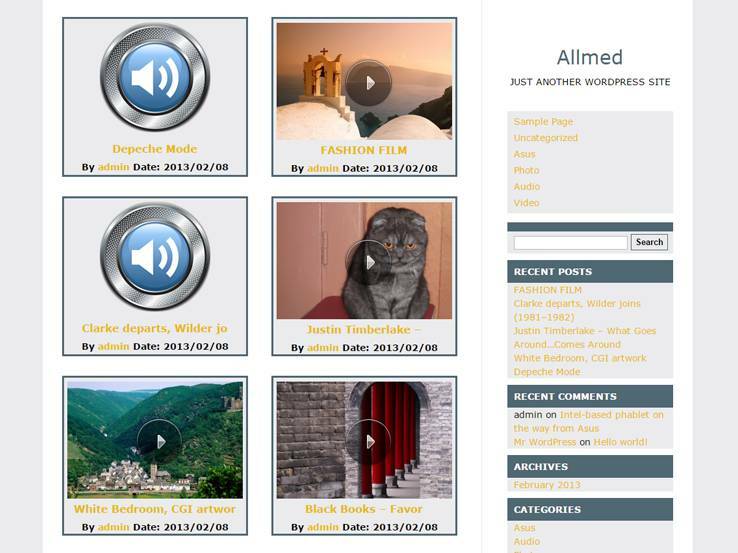 Allmed is a very simple theme geared for video bloggers or any other type of blogger that wants to put their content into main focus. 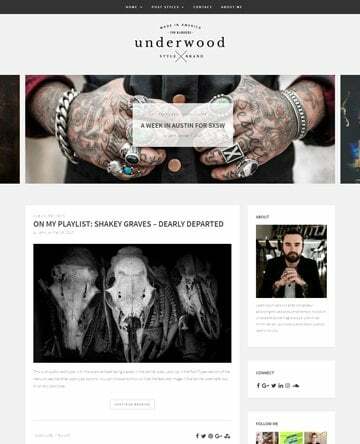 The theme includes a traditional 2-column layout and includes a custom menu. You can easily add different widgets into the right sidebar to include your recent posts, display latest comments, link to your social media profiles, and more. The theme can easily be customized from the backend and it allows you to easily change colors with the color picker so you can easily make it match with your brand. Your video posts are displayed in a grid-based layout which gives your entire website an organized look. 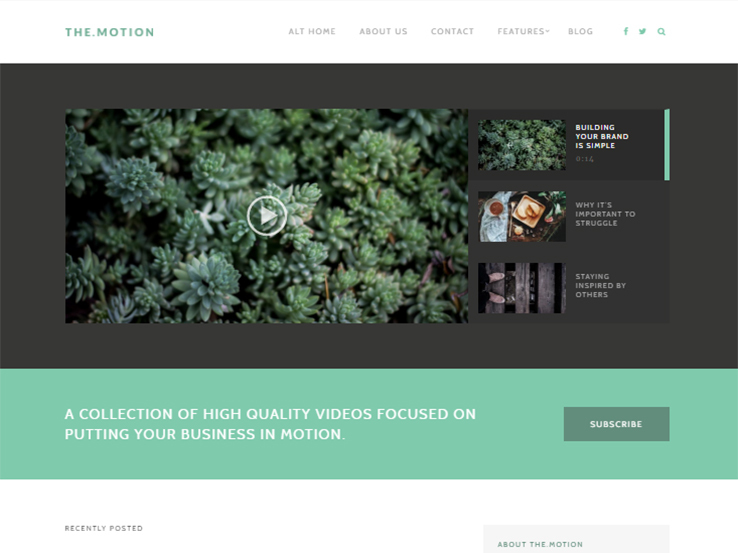 TheMotion Lite gives videographers, creative agencies, and dedicated bloggers a way to express their thoughts in a more non-conventional way using WordPress. However, it also gives you the option to keep written content as well, which makes your website stand out against those not including featured videos. So, get right to business with the featured slider and add video or blog posts. This added animated feature is great for grabbing your site visitors’ attention. Additionally, you can incorporate an online store into your video-themed website and start selling products right away using the WooCommerce plugin. Plus, you can add social icons in the header encouraging your readers to share their favorite videos and posts with their friends and followers. This will only help to drive more traffic to your site. Lastly, translate your content and reach a global audience, customize your site to brand your blog or business, and watch as site traffic surges thanks to the built-in SEO optimization. 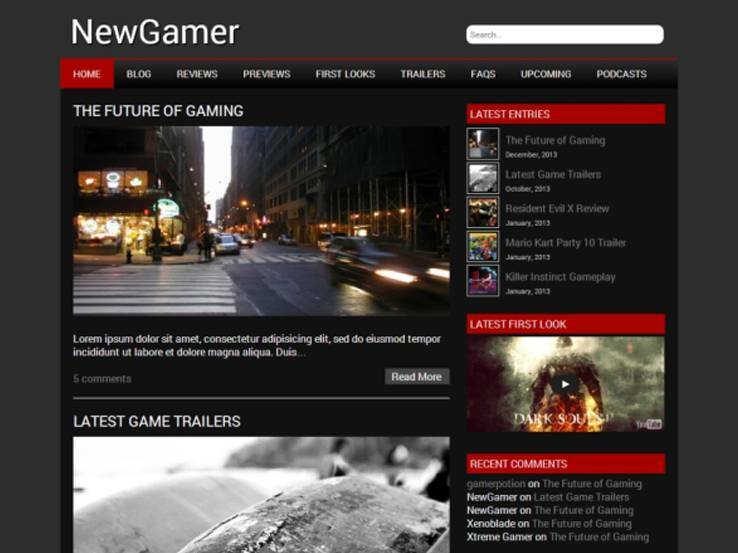 NewGamer is a video theme perfect for a gaming website. It’s styled in colors and a layout that would suit any gaming website. The theme allows you to add full size featured images which are great to draw your visitors in and encourage them to click through for the full article. On top of the widgetized sidebar, the theme also includes 3 widget sections in the footer of the website, which means you have plenty of space to include additional content. Upload your own logo through the theme options panel and customize the colors to better suit your own style. Add a custom background image to make your website truly unique and you can even set it to be fixed or scrollable which ads an interesting visual appeal. Finally, you can also customize the fonts. 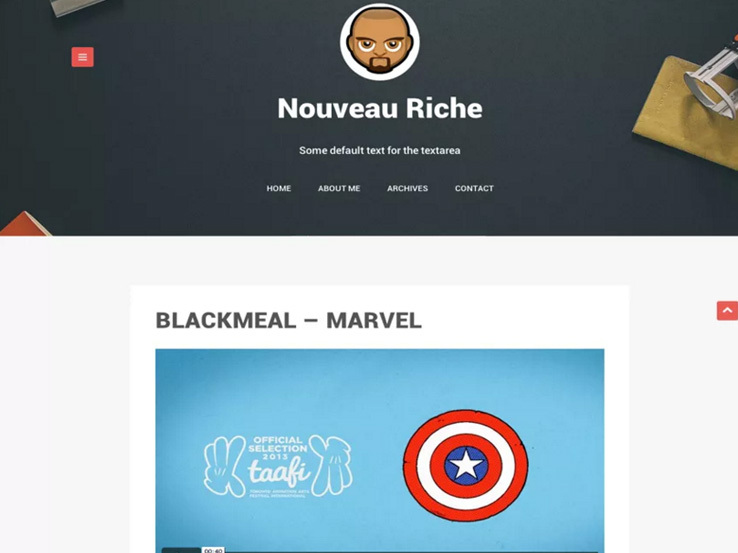 The Nouveau Riche theme is responsive as well, and it has wonderful customizer options for changing your logo, modifying colors, moving around items and implementing widgets. Feel free to change around your header images, and use the widgetized areas for anything from email subscribe forms to social media buttons. A full contact form comes along with the Nouveau Riche theme, which is handy for those companies that like to stay in touch with their customers. A full blog provides a way to reach out to your users, while also improving search engine results. The header area is one of the standout modules, since it grabs attention right from the start, and you can change around the logo that sits right in the middle of the header. Upload videos from both Vimeo and YouTube, and watch as the streaming begins once people click on the play buttons. It’s worth mentioning that the Nouveau Riche theme is all about cleanliness. Therefore, it strives to clear out the clutter and offer a simple blog feed for users to scroll through and find your content. In fact, the entire homepage is merely a blog roll of your recent videos. It’s a nice choice for those who don’t want anything but a way to host videos. 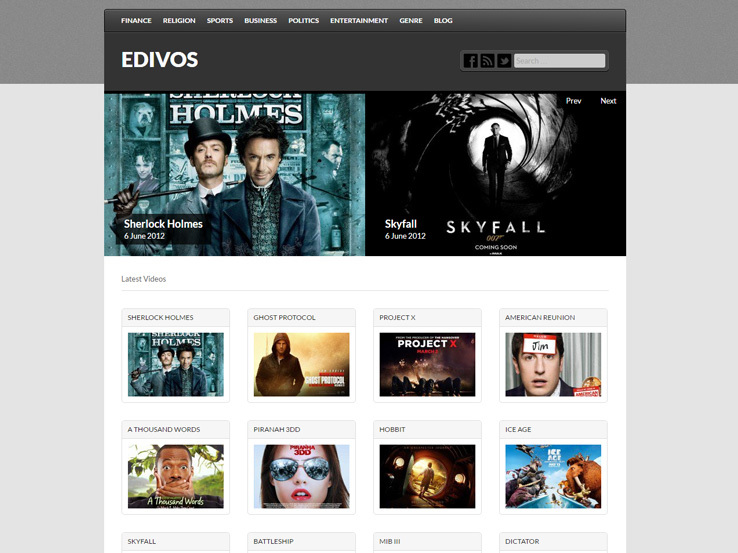 The Edivos theme lets you post videos from a wide selection of sources. For example, the list starts with places like YouTube, Vimeo, Dailymotion, and Metacafe. The Edivos theme asks you which of these sources you are pulling from, then all you have to do is paste in the desired video from that location. That’s about all you need to know in terms of videos, since the theme makes it super easy for beginners, and advanced users will find it useful for developing sites quickly along with posts that are filled with videos. As for the rest of the theme, lots of custom post types are provided with the download and you can create or select a certain genre for each one of your videos. These work similar to WordPress categories, but they are more functional for a website focused primarily on videos. Feel free to make your own custom menu, and use this menu to guide people around your site. The taxonomies and theme options are great, while the jQuery slider gives you a chance to display images, videos, and posts that have been recently posted on your site. The theme has a beautiful header area, with a search bar for users to find the exact videos they want to watch. Several social media buttons are provided as well, sending people to your social media profiles. 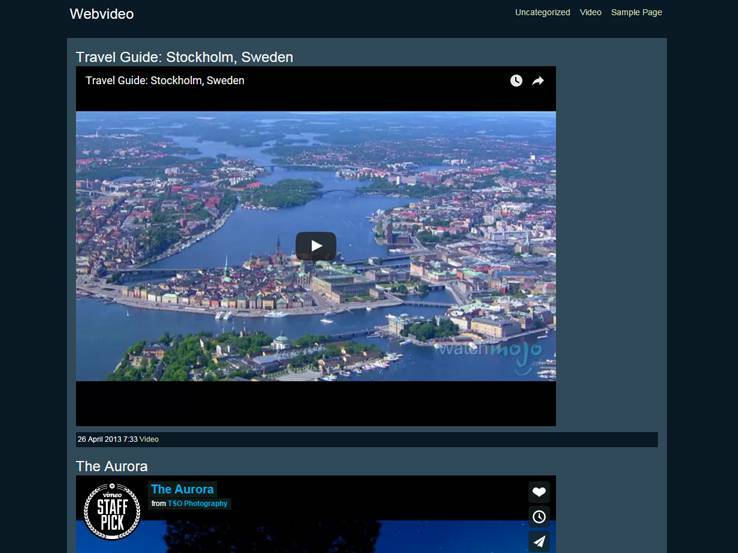 Feature your latest videos with a widget where each of the videos shows a thumbnail image to prompt people to click through. As with most blog themes, the video post type places the video at the very top. Then, people can scroll down to view the written content or anything else you’d like to throw into the post. Categories are tagged towards the bottom of the post and a comments module is included for generating conversation with your visitors. 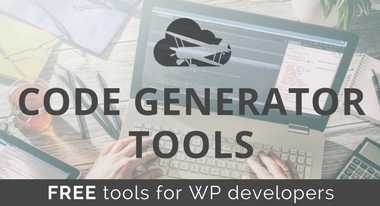 Overall, the Edivos WordPress theme has some handy tools. It’s not the most modern looking theme, but it’s a great start for a blogger who wants a professional look. The Video WordPress theme has a pretty bland name, but the design makes you throw it on your prospect list immediately. This is a theme from the folks at Templatic and it has a responsive design so people can view your videos even on mobile devices. Share videos from YouTube, Vimeo, and dozens of other sites. The Video WordPress theme is designed to minimize your bounce rates and boost traffic for a long time into the future. You can upload the videos you created, embed them from external sites with code or allow people to submit their own videos. This technique works well if you’re holding a contest or would like to make a more user-generated website. In fact, the upload button can be placed prominently on the front-end of your website to make it easy for visitors to submit videos. A search bar sits at the top of the site, bringing people to the videos they want to watch. In addition to that, the theme includes a beautiful slider module for scrolling through the content you recently posted on your website. You can have a link to one of your written posts, then feature a video that users can click on and watch right from the slider. The Video theme is highly widgetized, meaning it allows for widgets in the footers, body areas, and sidebars. 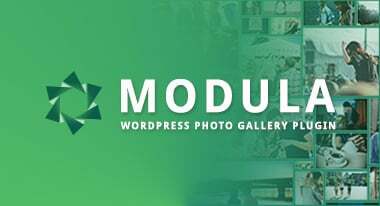 Make recent post modules with thumbnail images and descriptions which encourage people to click through. Your video categories can be highlighted and the most popular video list is a nice module to place in your right sidebar. Several social media buttons are included with the Video theme, helping with your other platforms, and generating conversation on places like Facebook and Twitter. Along with that, you can implement an email subscribe form to build your email list for future newsletters. Along with an About Us widget and an easy logo upload setting, the Video WordPress theme is one of our favorites on this list. 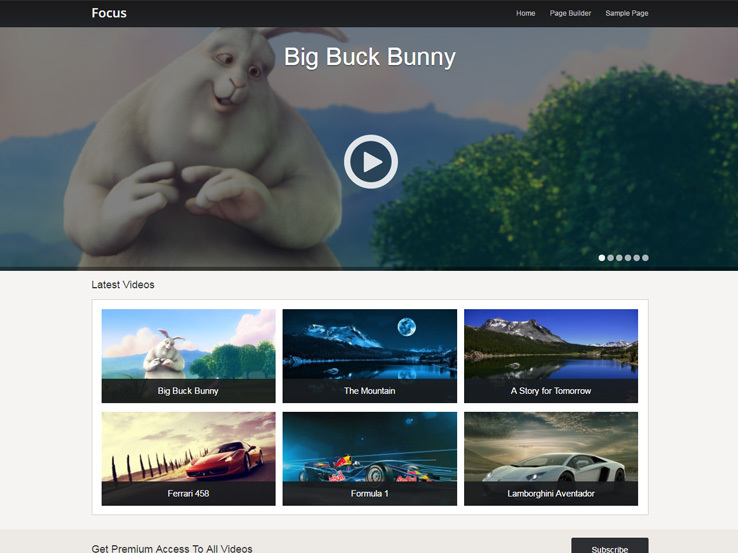 Focus is a video sharing WordPress theme with fast loading and simple organization in mind. All of the videos are self-hosted, so you don’t have to worry about putting them on places like YouTube and Vimeo. It also means that you maintain complete ownership of the videos, which is not necessarily the case with those other sites. One thing to keep in mind is that you have several ways to make money with your videos. One of them involves setting up the WooCommerce plugin and installing the subscription module. That way, you could collect recurring payments from those who like watching your videos. Adding videos only takes a quick click of the button, and the responsive layout is sure to improve the way people view your videos on mobile devices. The large slider header at the top displays a multitude of different videos in a row. Your latest videos are featured right below that, looking somewhat like your own little portfolio. When someone clicks on a video it brings up a larger version in a regular post. Therefore, you have the opportunity to write more information about the video in case it needs an explanation. Overall, the Focus theme is one of the simplest ones on the list, and we like it for small blogs or creatives who want to share their videos with the world. 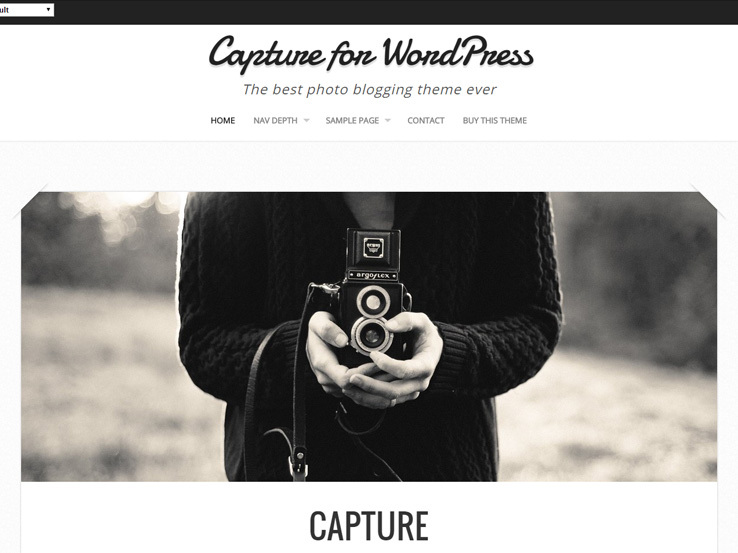 The Capture WordPress theme is a favorite of the minimalists out there because it has plenty of white space and most of the content is centered towards the middle, including the logo and the navigational menu. This is basically a large feed of your posts, so if you’re running a video website, it allows people to quickly view them. The lightweight Capture theme has a responsive design, making it easy to view videos on smaller devices. The theme has a fullscreen image slideshow, which comes in handy for showcasing the best video posts on your site. What’s more is that the Capture WordPress theme integrates seamlessly with the WooCommerce plugin. This allows you to start selling merchandise that correlates with your videos. Some people even try to sell their videos through the system. Various color combinations are available for your branding needs and the translation files show users that you have a commitment to sharing your videos with people from all over the world. If you need a free theme with a powerful, fun and almost comicbook-looking design, this is the one to go with. The WpTube WordPress theme has a beautiful silver tint to it, and it provides a combination of solid widgets that are all designed to boost the video watching experience. In fact, I would imagine that the majority of people using this theme have created either gaming or movie blogs. The users can choose favorites and save them to their profiles, while the integrated home button is already included so you don’t have to make it yourself. Related posts are displayed by category, and the majority of the homepage is constructed with the help of some handy widgets. It’s not exactly a drag and drop interface, but widgets are pretty close. The Video Views and Video Rating plugins are packaged into the WpTube WordPress theme, turning your website into a full-fledged review machine. The AdSense ready header is one of our favorite features, because it’s not too often you see a free theme that helps out with posting ads and making a little extra cash. Overall, you receive tons of tools for featuring your videos and getting them some publicity. The featured slider at the top is going to show your most important videos, while the ones towards the bottom are filterable. 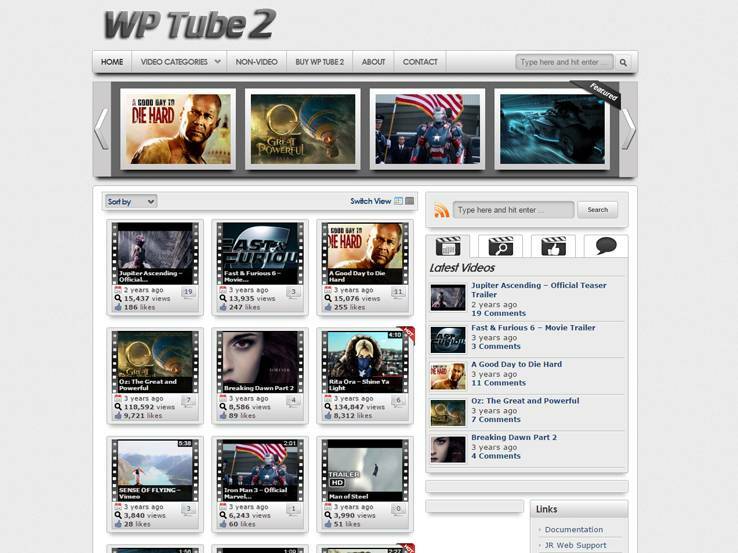 The WpTube WordPress theme is not going to work for every video blog, but some will find it enticing.